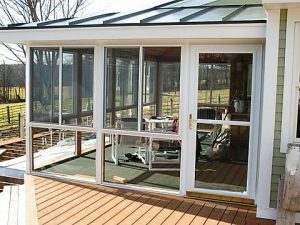 Take your screen porch to another level with removable storm panels or new operable windows providing both ventilation and weather protection. We can transform your favorite space in the house to an even more useful area with a much longer season. Options for transforming or completing your new outside living space can be found by checking options out in our gallery.